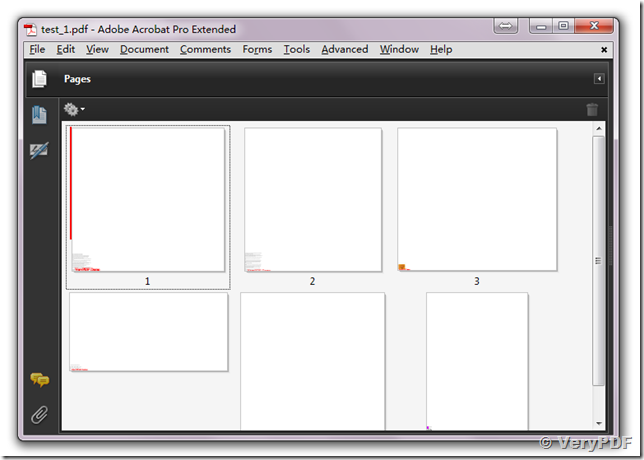 ← How to view PDF as a slideshows? pdftools -i "C:\Users\leshane\Desktop\Eagle Tribune\Orignal.pdf" -o "C:\Users\leshane\Desktop\Eagle Tribune\output.pdf" -j "99% 100%"
I am trying to see if this program will do what I want. I am using the above command line and the output file only show a small thumbnail in the bottom left of the output document. I want to reduce the document content width by 1% and the depth by 0%. Please look at following articles, will these articles useful to you? pdftools -i "test.pdf" -o "test-1.pdf" -j "60% 70% true"
When I use the above command line, I only get thumbnail sizes. Is this because it is a trial version? pdftools -i "test.pdf" -o "test-1.pdf" -j "60% 70% true" -x "0 0 595.5 842.25"
You can continue to adjust the values of -x and -j to test the resultant PDF file, until the resultant PDF file is meet your requirements. This entry was posted in Advanced PDF Tools and tagged Advanced PDF Tools, Advanced PDF Tools Command Line, PDF tool, pdf tools. Bookmark the permalink.